The Tangle Angel range at Beauty Expert features a collection of professional hair brushes that will remove knots easily and painlessly, leaving your hair looking shiny and feeling manageable. Beautifully designed, the Tangle Angel brushes are suitable for all hair types, and there’s even the Tangle Cherub, a more compact version of the Tangle Angel that’s also suitable for children. Beauty Expert also offers the Shine Angel brush, which features two-tier boar bristle technology and ionic nylon bristles to smooth the hair cuticles, reduce frizz and enhance your hair with a glossy appearance. What is the Tangle Angel? The Tangle Angel is an innovative hair brush which glides through your hair to remove knots and tangles painlessly, without snagging or breaking your hair. Featuring special antibacterial additives in the bristles which are 99.9% effective in reducing the growth of unwanted bacteria, the brush has a contoured base which retains full bristle height, whilst the bristles are also heat-resistant so they’ll retain their shape even when used with hairdryers. 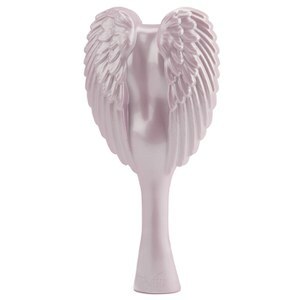 Boasting anti-static properties to leave your hair feeling smooth and free from fly-aways, the Tangle Angel has a stunning design that will look beautiful on any dressing table. How does the Tangle Cherub differ from the Tangle Angel? 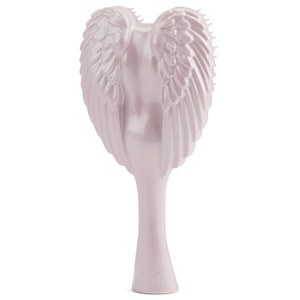 The Tangle Cherub has all the antibacterial, anti-static and heat-resistant properties of the Tangle Angel, but is more compact in size which makes it great for travelling. Standing at 150mm high, the Tangle Cherub is also ideal for children, as the smaller design is perfect for little hands to grip. How does the Shine Angel work? 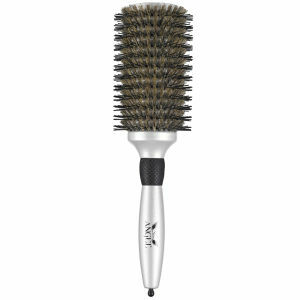 Featuring V-shaped natural boar bristles and ionic nylon bristles, the Shine Angel allows for closer contact with the hair, which smooths the hair cuticles more efficiently to improve shine, conditioning and volume. Lightweight and well-balanced, the ergonomic brush has a real wood handle with a rubber gripper for extra control, whilst the hair pick on the tip of the handle will allow you to section your hair easily when blow-drying. Shop the full Tangle Angel range on Beauty Expert with free standard international delivery.